Actually, it’s not true that Washington’s law prohibits gift card returns. But most retailers have an “all sales are final” policy. So what do you do with those unwanted gift cards? A number of Web sites allow you to turn them into cash. KOMO’s Herb Weisbaum reports, “If you go this route, stick with a well-known company, such as Plastic Jungle, Gift Card Granny, Cardpool, GiftCards and GiftCardRescue.” I've never tried those sites, so I can't vouch for them. Avoid auction sites, where some cards are counterfeit or stolen. 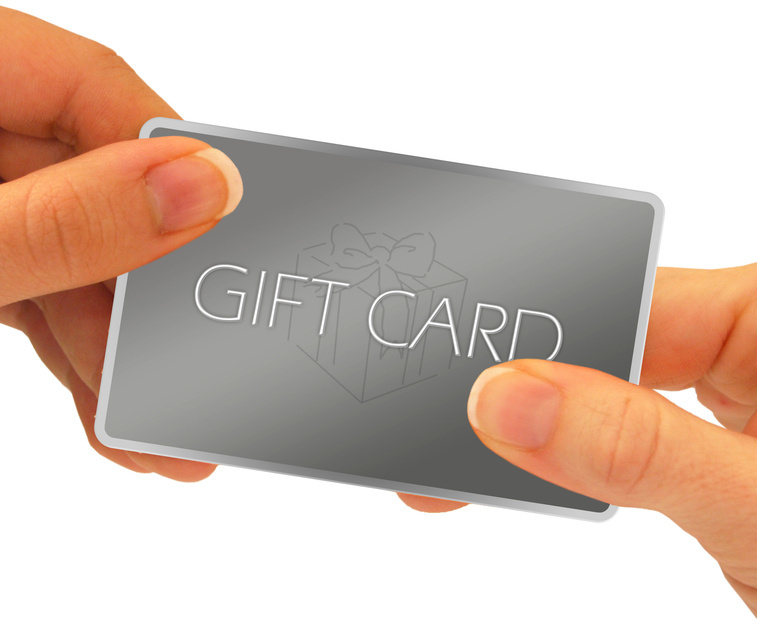 Since Washington’s law states that store gift cards can’t expire, Ned may want to just hold onto them until next Christmas, Mom's Day or Administrative Professionals’ Day (the politically correct term for that helpful person who answers your phone calls and fills your coffee cup places your grande vanilla latte order). In case you’re interested, Ned, my birthday is in October. And don’t forget that some gift cards can be used at more than one place because they’re owned by the same parent company. For example, Pottery Barn cards can be used at Williams-Sonoma or vice-versa. Ditto for the Gap, Banana Republic, Old Navy and Piperlime. It’s also worth noting that Washington’s gift card law allows you to cash out when the balance drops to $5 or less. A news reporter recently asked me about the law after a movie-goer complained the theater refused to allow her to receive the remaining money on a gift card. The theater employee said there was just no possible way. To that, I say the theater employee needs to figure out a way to open the cash register -- with or without butter -- and give the change to the customer. Although Henry doesn't specifically ask this, I might as well add that I can't address the issue of redeeming a discounted certificate for an oil change, massage or fondue dinner for face value versus purchase price. That's a question for lawyers and courts. A year ago, I issued a consumer alert that KB Toys gift cards were expiring because the 87-year-old company was liquidating its stores. Cathy apparently missed that warning because she posted a comment last month asking if she could use hers. She bought it at a CVS pharmacy, which we don't have in Washington state. I don’t have a definite answer, but my hunch is Cathy is out of luck. Toys R Us now owns the KB Toys brand. But when a company files for bankruptcy, it’s up to the court to decide which financial obligations are honored and that decision was made long ago. If you're told a card or certificate is expired, speak up. One of our consumer protection attorneys recently called the number on the back of a store gift card to check the balance. She said, "The electronic response said it was expired. I pushed to talk with a customer rep and they immediately offered to renew it. Amazing." They don’t expire. If you're told the card or certificate is expired, talk to customer service or a manager. But if a company is out of business, that's another story. They don’t usually accrue fees. However, a merchant can charge a minor inactivity fee if you have less than $5 remaining on a card and you haven’t made a purchase within the past two years, checked your balance or added to the card’s value. Once your gift card balance goes below $5, you have the right to redeem the balance for cash. The law doesn’t give you the right to return an unused gift certificate or card you bought, nor does it prohibit a retailer from allowing you to do so. In other words, it’s up to the business to set its own return policy. The state law doesn’t apply to rebate cards, promo cards or those purchased at a charity event. General-purpose cards issued by Visa, Mastercard, American Express or Discover aren’t covered either.